Hotels in Auckland cover the whole range of budgets, styles and locations. 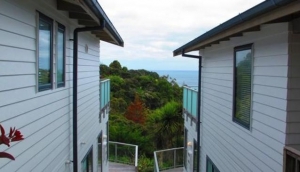 Whether you're after central city living, or something a little quieter and picturesque on Waiheke Island or the North Shore, there's something to suit you. Auckland Hotels offer possibly the best choice of holiday accommodation in New Zealand. Viaduct Harbour has some great, modern hotels, with superb water views. It's popular with urban trendsetters who like city living, and don't mind the price tag to match. Further into the CBD, around Victoria Street and Queen Street, you'll find the more corporate hotels. These are also great for shoppers, who don't want to walk far, after a hard day hammering the plastic. In the east, Parnell is eclectic and bohemian, while Mission Bay has some lovely beachside hotels. South of the CBD are the airport hotels, some with great conference facilities. The North Shore, including Devonport and Takapuna, has some very family-friendly hotels, with nearby beaches and plenty of shops, for a more suburban feel. In the west, Ponsonby is the place to hang out with the creative set, and is where you'll discover some cute, boutique hotels with a touch of eccentricity.